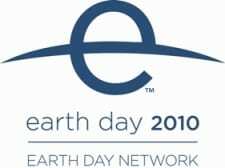 “This year marks the 40th Anniversary of Earth Day and Bike&Walk Montclair challenges you to go CAR FREE FOR A DAY. Motor vehicle emissions from short car trips (distances easily walked to cycled) are much more polluting than longer trips on a per-mile basis because 60% of polluting emissions is released during the first few minutes of vehicle operation. What will you do to mark Earth Day? Let us know! And watch for the WWBPA’s annual National Bike Month challenge in May.